The XCM-TMW-100 zone thermostat detects the room temperature and allows the setting of the set during the comfort zones programmed on the chronothermostat. The thermostat can be placed where the actuators of the XCM-ATW series are installed on heating bodies with access to the actuator itself difficult (e.g. heater covers, convectors, fan coils, radiant panels or floor, manifolds). 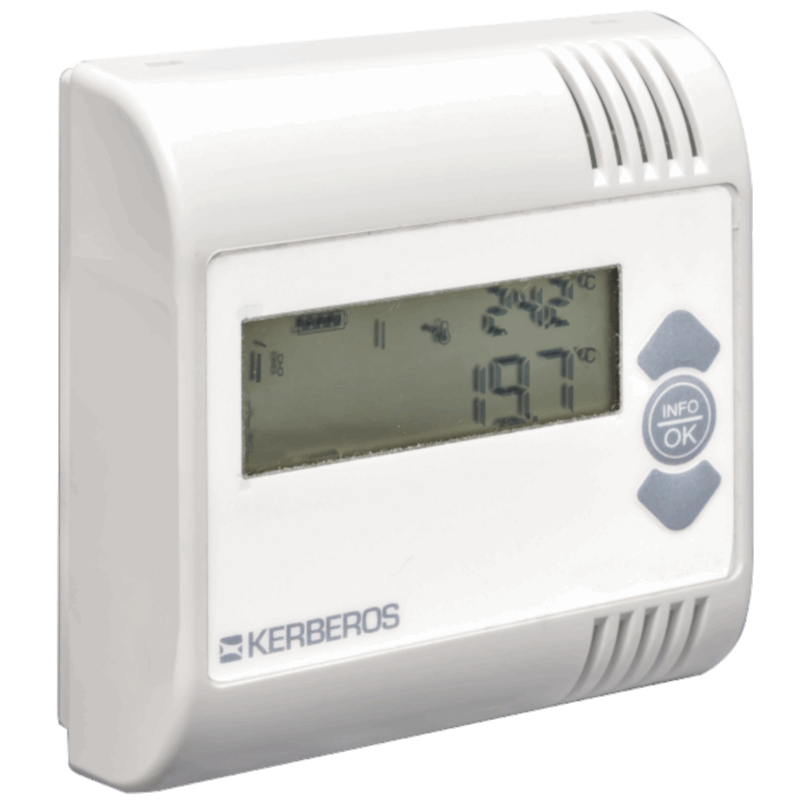 Equipped with LCD display for viewing the measured room temperature, active set, external temperature and battery charge status. Works with three alkaline stylus batteries (AA), included.